The traditional history of Our Lady del Pilar begins in the year 40 A.D. when the apostle Saint James the Greater entered Spain to convert the pagan country to Christianity. While traveling in the territory of Aragon, on the eve of January 2, the Virgin Mary appeared to him. Her words to him were, “This place is to be my house and this image and column shall be the title and altar of the temple that you shall build’ The Basilica del Pilar remains in that very spot today and houses the small wooden statue of Mary (15 in. tall) along with the pilar (over 6 feet tall) of jasper she gave him. The pillar is now encased in silver with a tiny portion revealing the jasper where pilgrims may kiss the pilar. (manifested to Sor Maria Agreda): In the Book, Mystical City of God, we are told that when Mary was in Ephesus, She was carried on a cloud by the angels to visit James in Zaragoza Spain. While they traveled, the angels built a small wooden image of Mary and a pillar of marble. Mary's message to James (from her son, Jesus) was to build a church on the very site where he stood when receiving the apparition. The jasper pillar and wooden image were to be on the main altar. All who traveled would be protected. Why would Mary want a house built for her? To contain a tabernacle where her son, the Eucharistic Lord Jesus would reside. Remember, it was Mary who was a 'living tabernacle' protecting the infant Jesus in her womb before he was born! SPECIAL THANKS TO LENICE & CAROL! The little 15 in. Zaragoza statue of Mary is carved from wood and sits on 6 foot pillar of marble but here, since we did not have the marble, we have capped each end of our 'wooden' pillars with faceted turquoise to symbolize Mary's blue! 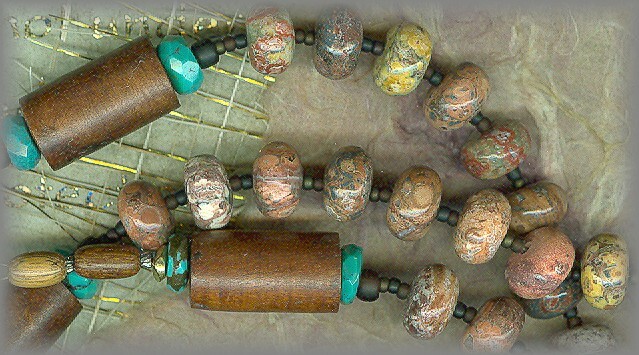 The Ave beads are of Jasper, one of the stones used in the new Jerusalem! This rare antique (see below) makes a wonderful center (Era: 1800 - 1850). Unable to read the writing on the back but is probalbly a pilgrimage souvenir from the 'La Fiesta de Pilar' in Zaragoza as contains the words 'Recoerdo de --- (Record of). 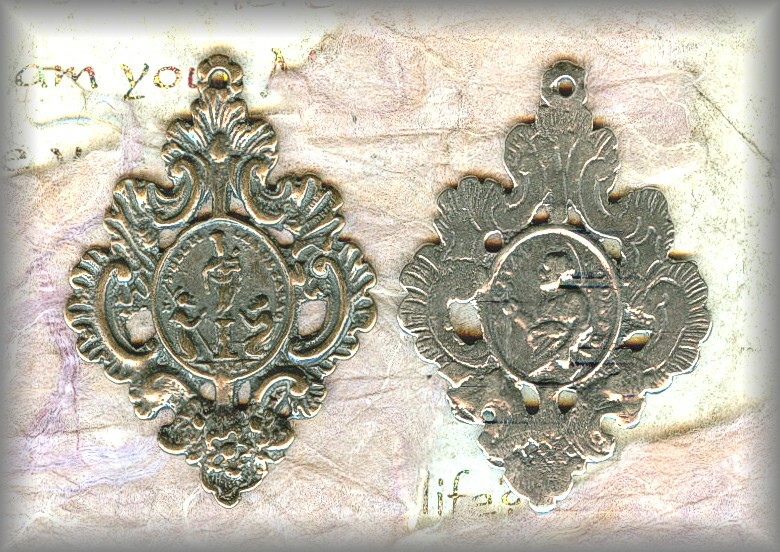 Love the little etched flowers, one on either side of the Madonna !!! The cross is hundreds of years old and very worn over time. 'LA FIESTA del PILAR': On the 12 of October, the Fiesta of Pilar is celebrated which includes music and festivities along with the offering of flowers to the Virgin. Aromatic trails of flowers, gladiolus, roses and lilies are strewn to and through the Plaza in Zaragoza as offerings to Our Lady. 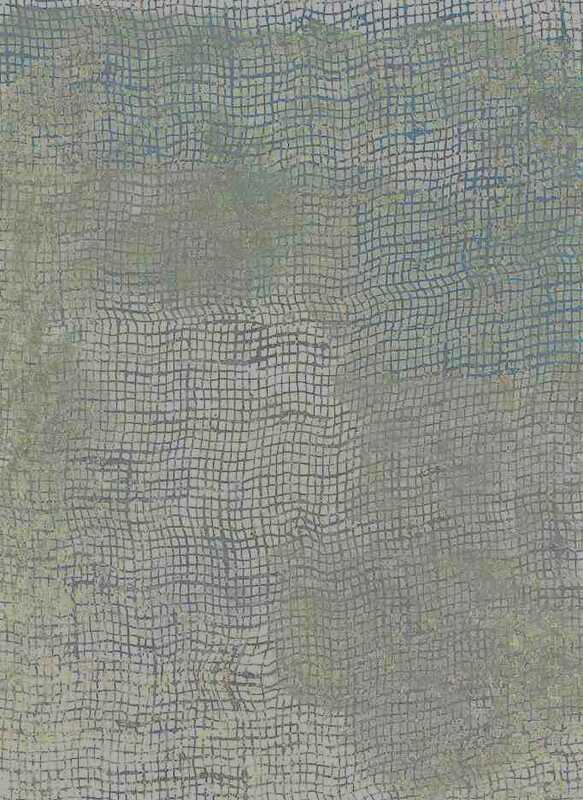 AVE BEADS: The beautiful matte Ave beads are called 'Picasso Beads'. We have used them to symbolize the pilgrims path on their way to Zaragoza. 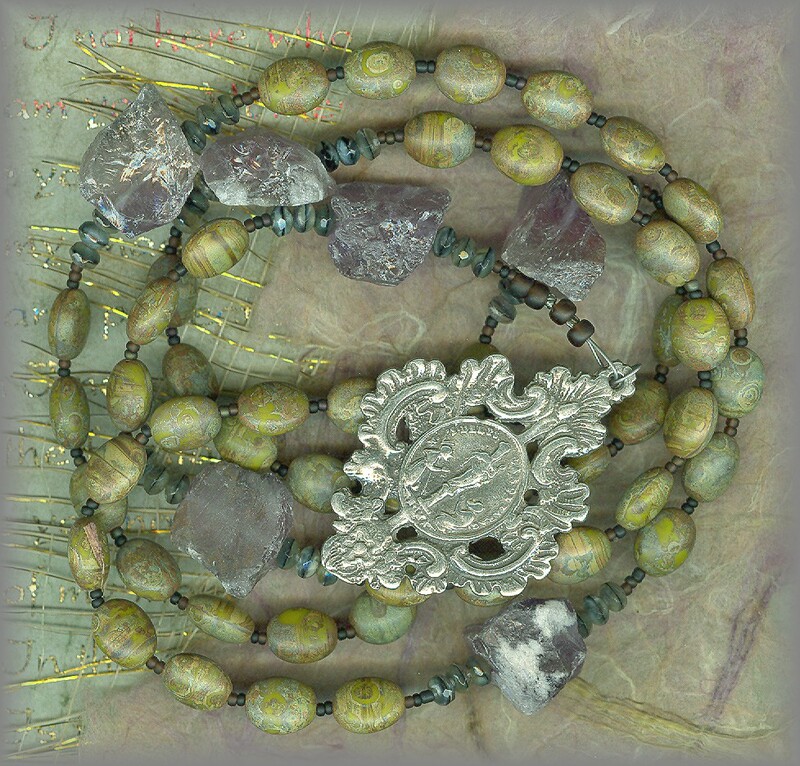 PATER BEADS: The Paters are chunks of amethyst stone representing the queenship of Mary. 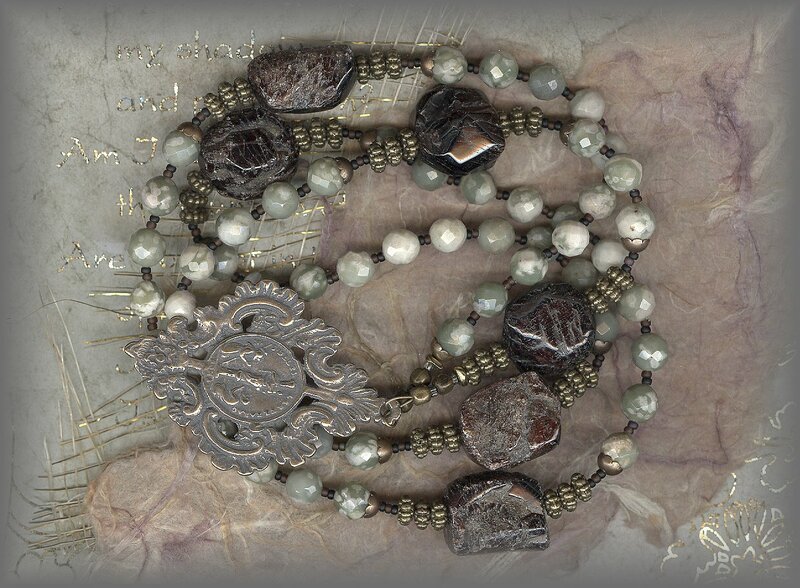 The medal at the end of this 'all in one loop' rosary (there is no pendant but the full count is there) is a rare and beautiful filigree medal of Our Lady of Zaragoza or Pilar. This is the second in this series as the first sold out almost over night. The Amethyst are also limited. 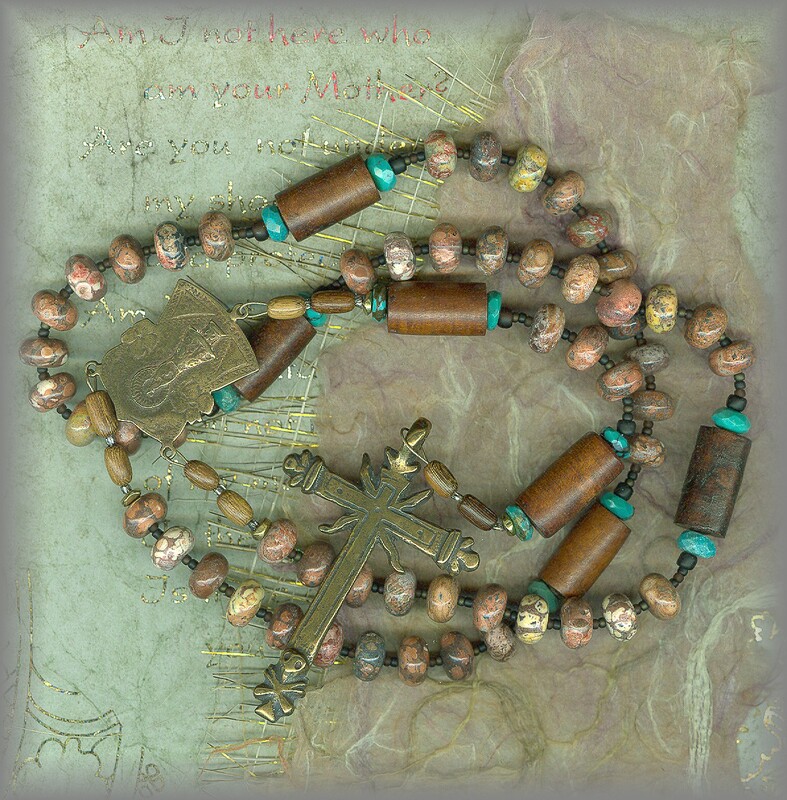 Note the flashback of the silver shown in the full image of the rosary below. 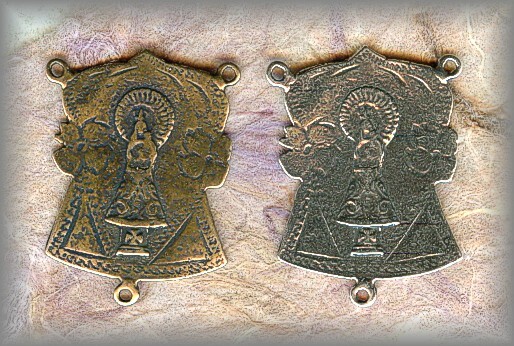 We apologize but the image directly below gives you a better idea of the beauty of this medal of Our Lady of PIlar. 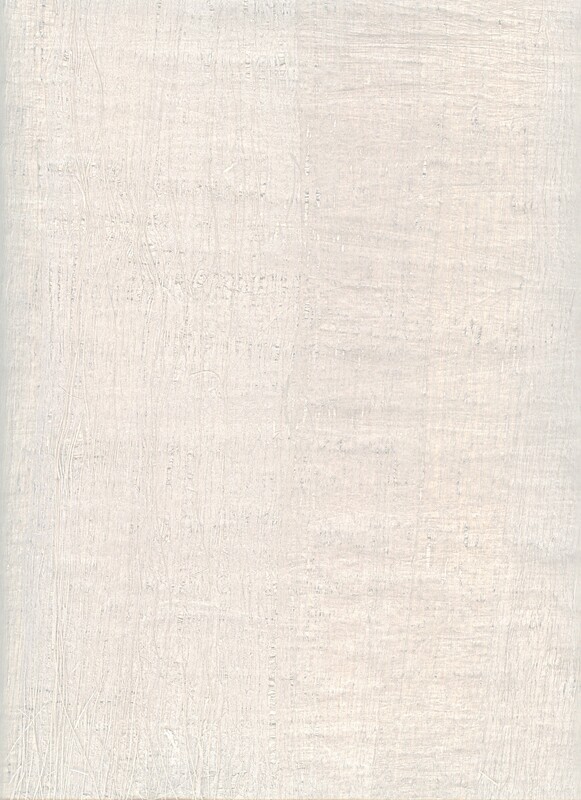 OBVERSE: says 'N.S. DEL PILAR D ZARAGO', Our Lady is surrounded by two kneeling figures. These figures are believed to either be pilgrims visiting the holy site carrying their belongings in a knapsack on a stick, or St James and St Bernard. REVERSE: shows Santiago (St James the Greater). St James is now the patron saint of Aragon. To see full collection click SUPPLIES at top of this page. AVE BEADS: faceted jasper (Peach Flower - Japan) PATER BEADS: Garnet stone chunks each one very different from one another. 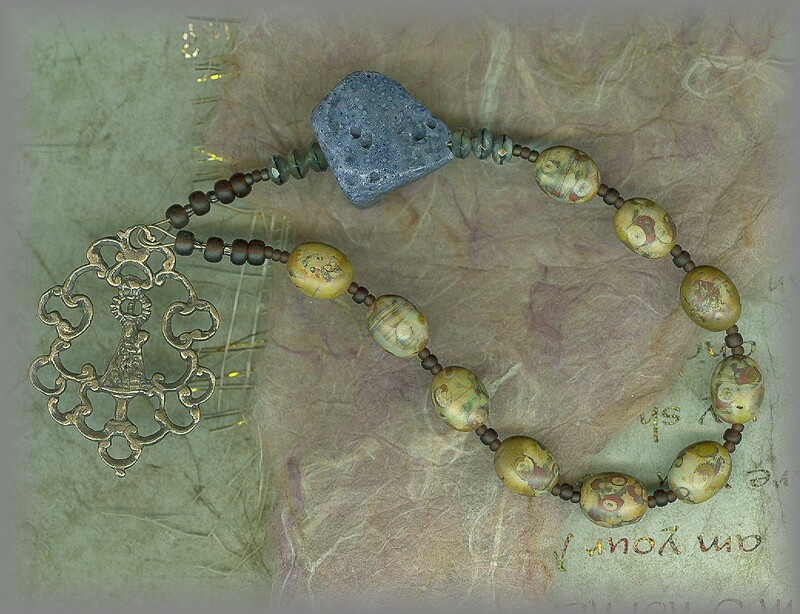 Rare- The medal at the end of this 'all in one loop' rosary (there is no pendant but the full count is there) is a rare and beautiful filigree medal of Our Lady of Zaragoza or Pilar. OBVERSE: says 'N.S. DEL PILAR D ZARAGO', Our Lady is surrounded by two kneeling figures. These figures are believed to either be pilgrims visiting the holy site carrying their belongings in a knapsack on a stick, or St James and St Bernard. 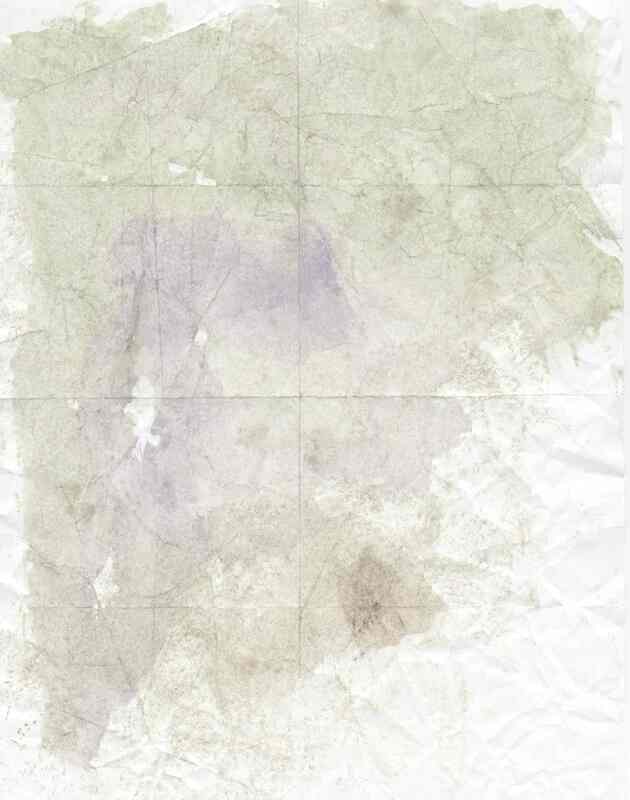 REVERSE: shows Santiago (St James the Greater). St James is now the patron saint of Aragon. To see full collection of parts, visit SUPPLIES at top of page. All medals are handcast from antique pieces in sterling silver and solid bronze. 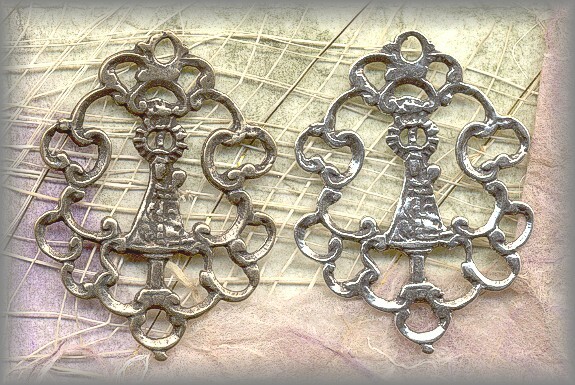 On completion, each is hand finished, hand polished then antiqued to restore the original patina of these rare pieces! Each a reminder of our 2000 year old history! Click icon above for more information. I 1 Bless the LORD, my soul! LORD, my God, you are great indeed! You are clothed with majesty and glory, 2 robed in light as with a cloak. 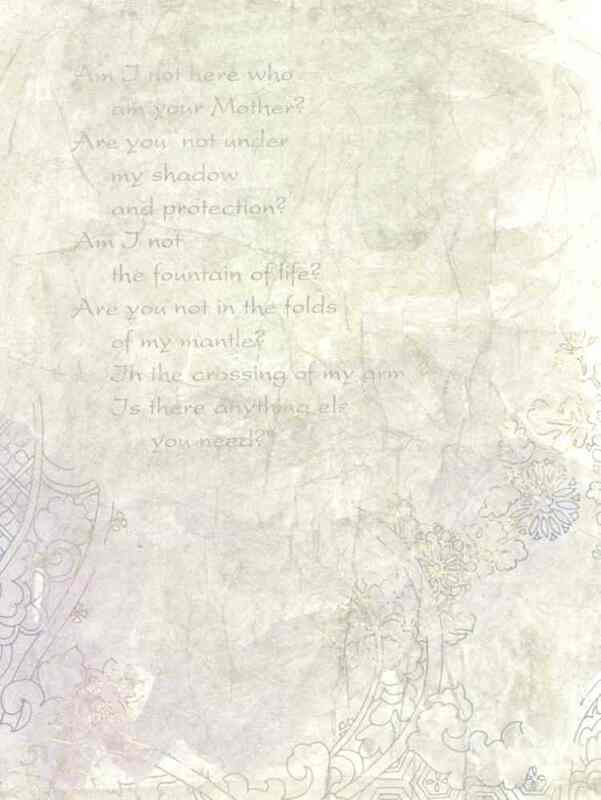 You spread out the heavens like a tent; 3 you raised your palace upon the waters. You make the clouds your chariot; you travel on the wings of the wind. 4 You make the winds your messengers; flaming fire, your ministers ...... II 5 You fixed the earth on its foundation, never to be moved. 6 The ocean covered it like a garment; above the mountains stood the waters. 7 At your roar they took flight; at the sound of your thunder they fled. 8 They rushed up the mountains, down the valleys to the place you had fixed for them. 9 You set a limit they cannot pass; never again will they cover the earth.